I LOVE THANKSGIVING! A holiday that revolves around food and wine sounds like the best holiday to me! I love hosting Thanksgiving dinner at my house. 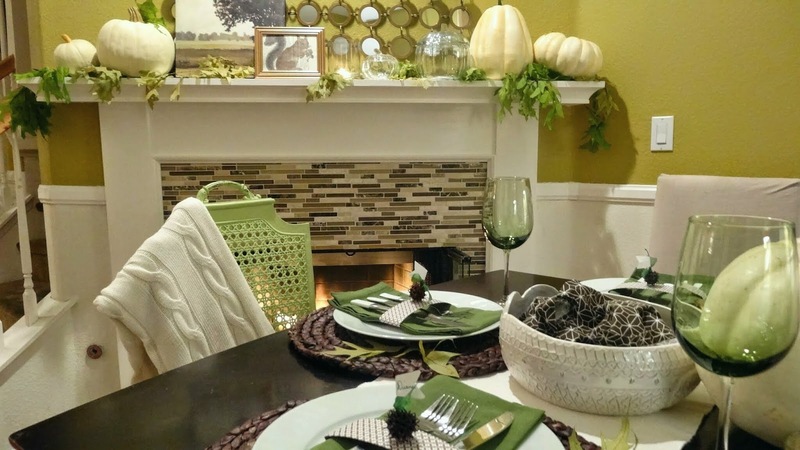 This will be our fourth year hosting and like every year, I am looking for last-minute ideas to get our dinner table looking amazing! I know (hope) that I'm not the only procrastinator that does this regularly! 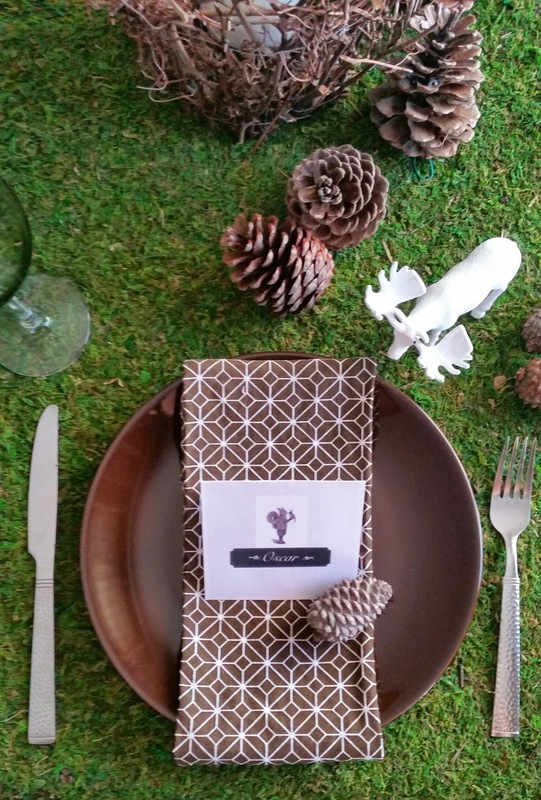 Thanksgiving is in two days and I'm still deciding on place cards. What can I say, I work well under presure. 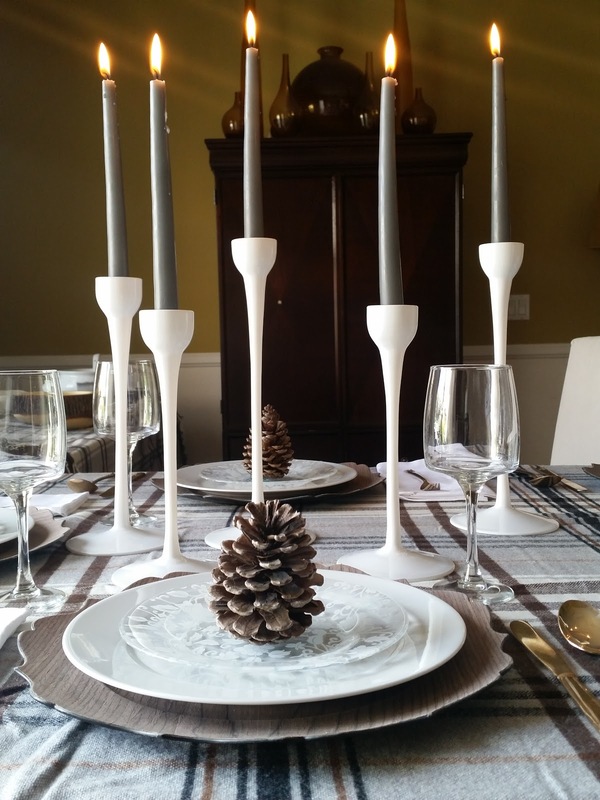 So I am sharing a few ideas from Thanksgiving past (and a few pics of my current tablescape that I literally snapped pics of this morning ) so that I can help inspire my fellow procrastinators and help with some ideas. I used these little gum tree seed pods that I picked up from a gum tree in a mall parking lot (don't judge). I used ribbon and adhesive labels for the name tags. Oh, if you decide to collect these pods to use for crafts make sure you boil them first to kill any bugs that might be hiding in them. I do like bugs and frequently use them in decor. But the ones I use are dead and framed beautifully. I don't need real bugs crawling around on my table. 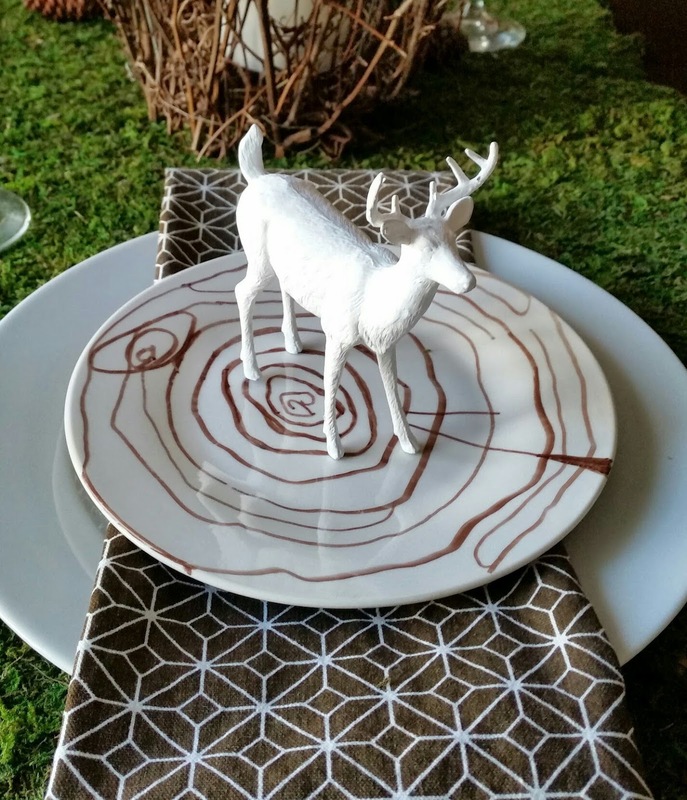 This table setting was from 2013. Here's a pic of my table from 2012. This was my first year hosting. 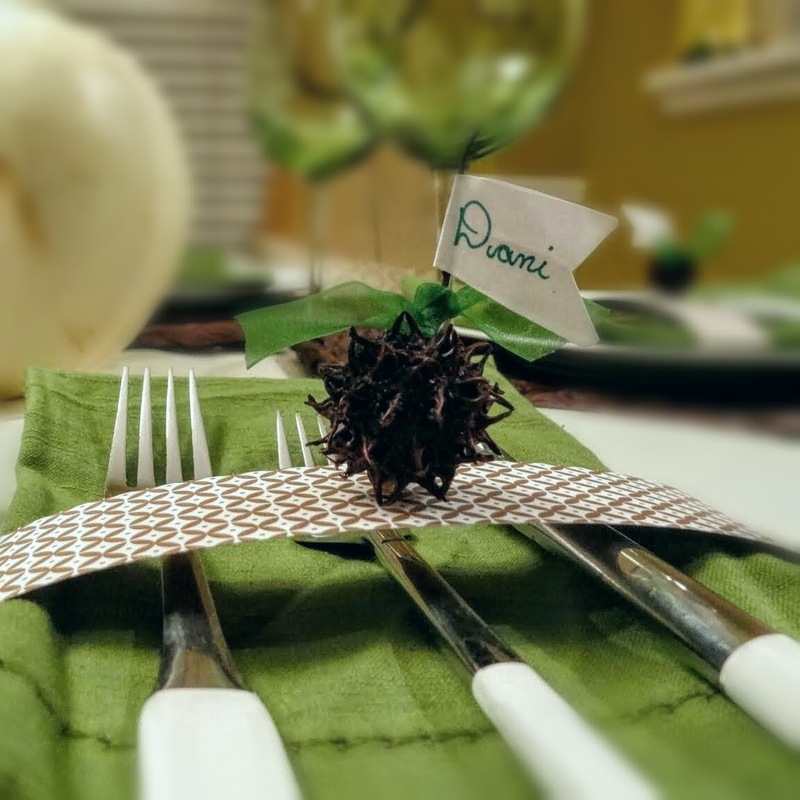 Here I made leaves from the pages of a book and hot-glued them to a twig for a unique place card. I am such a lover of using nature for decor. I encourage you to go out and collect items from nature that you can incorporate in your decor. 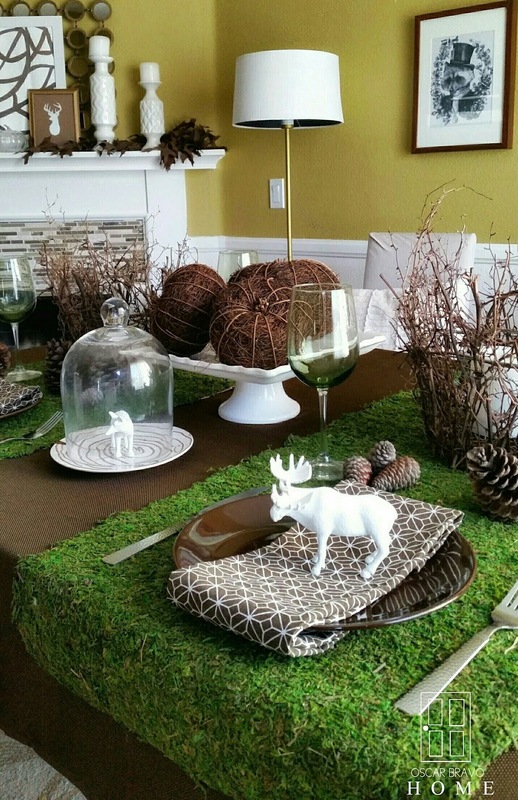 Last year's tablescape had a woodland theme. This was my favorite Thanksgiving table. I took rolls of moss to use as runners and spray painted toy animals white to fit in with my color scheme. 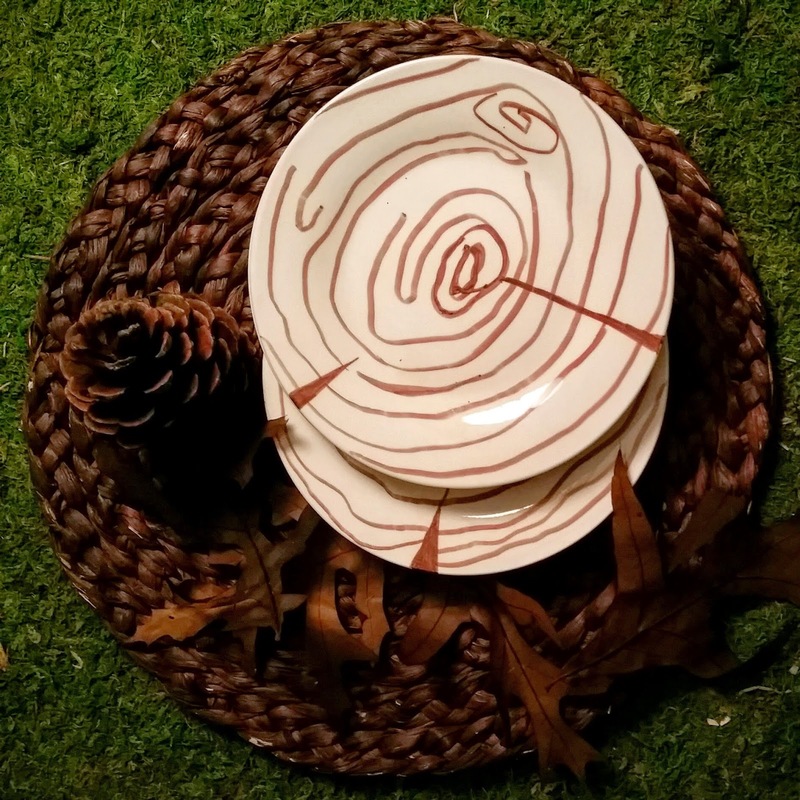 I also DIY'd these tree slab plates using a brown sharpie! These place cards I printed out myself. I found the image at The Graphics Fairy website. I get so many beautiful images from Karen's blog. If you ever need free vintage images, I highly recommend checking her out! 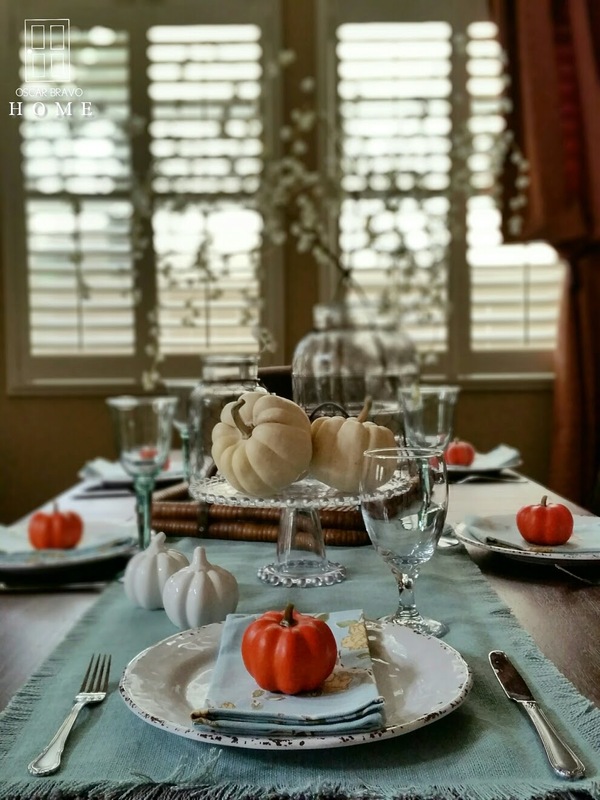 Here's a tablescape that I set up this year in the early fall. I filled a burlap bag with apples that my family picked on our trip to Julian. 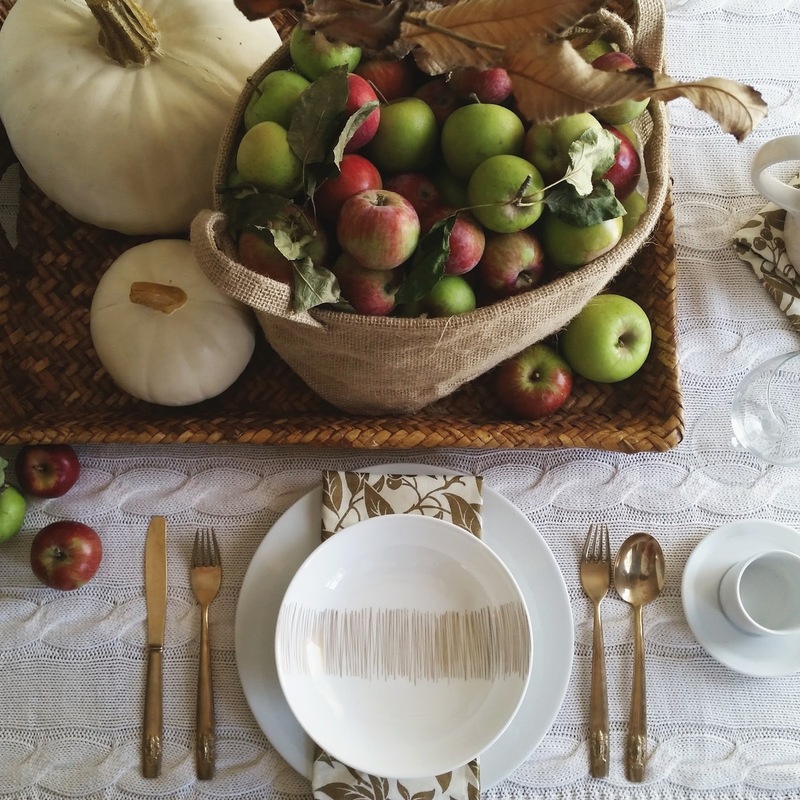 A throw blanket serves as a tablecloth and some dollar store chargers compete the look of this fall harvest table. 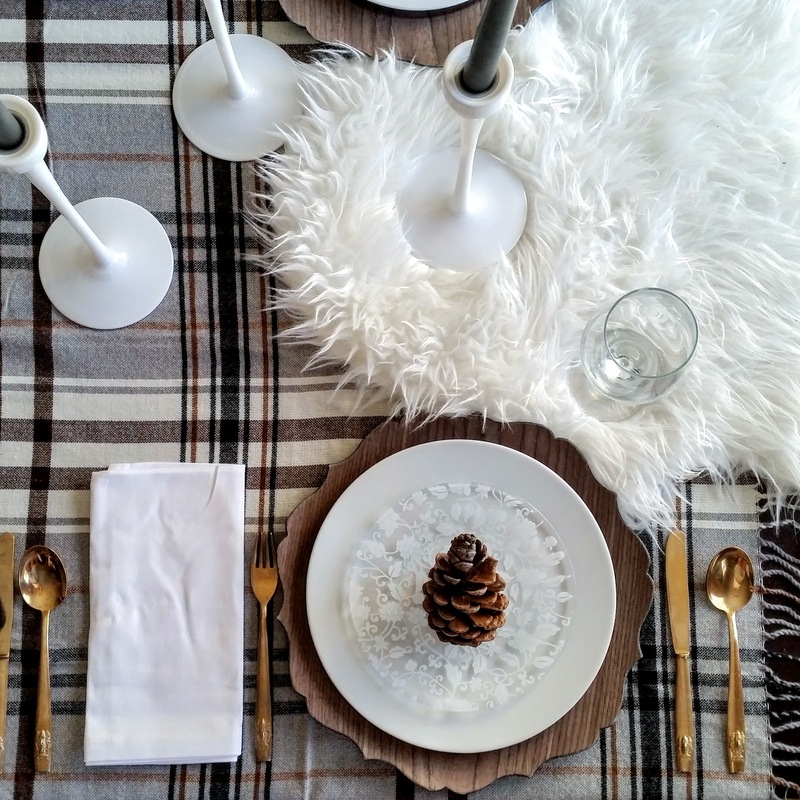 If you have no time to find a decent table cloth, a good alternative is using a throw blanket. I love the texture that the blanket gives the table. Another idea is using a large scarf as a runner down the center of your table. This year, I am using a blanket for a table cloth again. I really dig the pattern of this Hermine blanket from IKEA and what I love even more is that I can throw it on my couch when it's not being used as a tablecloth. 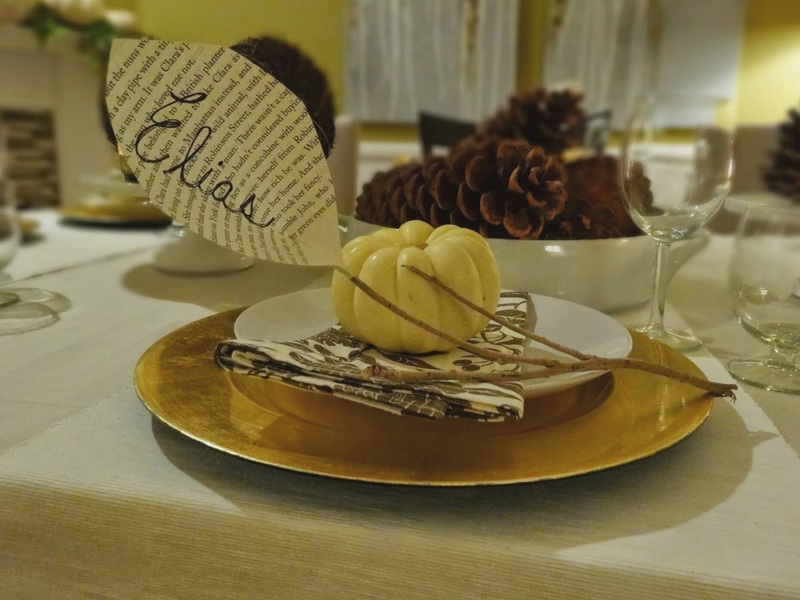 This table setting can easily go from a fall Thanksgiving look, to a winter holiday look by just changing a few things. I can easily swap the pinecone out for a small ornament to add some Christmas cheer. Here is my table so far. It's still a work-in-progress. I need to come up with the place cards and I am gonna switch out the stemware for some cooler glasses! I'll be sharing the final look on my Instagram feed so stay tuned! I hope that I was able to help with some last minute ideas for your Thanksgiving decor. I wish you all a happy Thanksgiving. LOVE all of these Oscar.....Happy Thanksgiving to you friend! 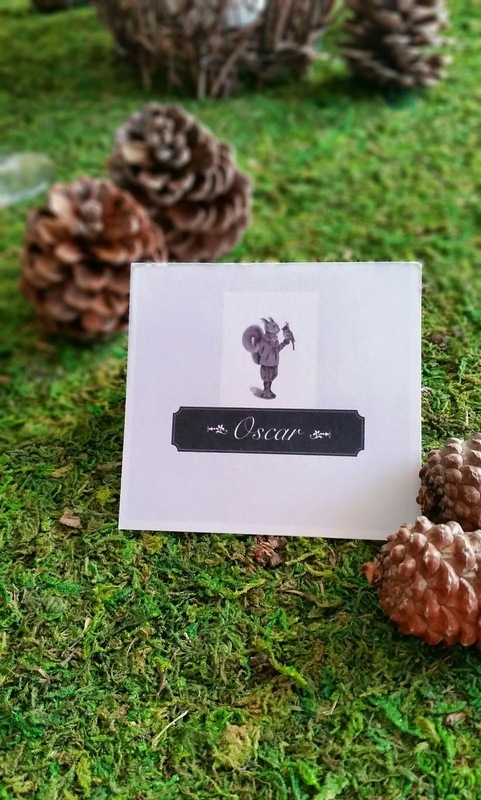 You are amazing Oscar love everything !!! !